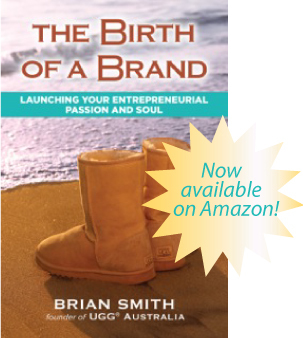 Brian Smith is the founder of UGG Australia , an entrepreneur, the author of the book “THE BIRTH OF A BRAND“, mentor and a sought after Speaker. Brian was born in Australia. Sheepskin boots were well known and very popular in Australia and New Zealand . Brian was an alumni of UCLA Graduate School of Management. After noticing there were no sheepskin boots in California, he saw a great business opportunity. He moved from Australia to California in 1978. UGG boots brand name was the born. He thought he was going to be rich instantly after moving to the US. That wasn’t the case. Why? You will find out in the video. “After seventeen years, as sales reached $15 million, he sold the business to Deckers Outdoor Corporation. The UGG brand has since exceeded $1 billion of international sales times over.” as he mentioned on his site. I met with Brian at an event for the first time shortly after getting laid off from my job. Having a conversation with Brian, in a sense, was one of my celebrations. This interview was one of my very first interviews I did. I had no clue of how to work things as you can tell in the interview. I leave the raw footage for you to see, so you know that I’m totally imperfect. It’s OK to start not knowing the exactly the “HOW TO”. I could tell you, Brian is very wise, deep, genuine and down to earth kind of person. Not only that, he is very passionate and kind heart entrepreneur and human being. Please make sure you have a pen and a note ready to take notes because there will be some really golden nuggets, wisdom and lessons learned. Important: Please share your thoughts and ideas directly in the comments below. Links to other posts, videos, etc. may be deleted as they can come across as spams. Please share your thoughts and ideas directly in the comments below. You’ll never know how your comment could help other readers. Neary: Hello everyone. My name is Neary Heng. I’m here with Brian Smith. He’s the founder of UGG. You got it right! UGG! Your favorite pair of boots. Or maybe you have multiple pairs of UGGs. I’m so excited he that he actually grants me this time to interview with him. So with that welcome Brian! Brian: Thank you very much! Neary: And thank you once again for taking your time to do this. And after I heard your speech yesterday here at the Secret Knock event, I was so amazed with some of things that I heard how you got started with UGG. Brian: Okay one of the things that you did questioned was how fast did it start? And I have to admit. When I first thought of the idea bringing sheepskin boots into America because of that’s all over the place in Australia. I thought I would be like instant rich, instant millionaires. But what I did realized is that Americans didn’t understand sheep skins like Australians do. In Australia we know that it’s washable it’s ragged. It’s durable. It doesn’t sweat. You can wear it all the time. It’s really warm in cold climate etcetera. But in America, it’s hot; it´s delicate. We can’t get them wet. And so what I thought was very easy thing to bring in, it turned out to be very very difficult. Brian: And the first season that I started. That I had my samples and I brought in products. The first season I sold 28 pairs. Brian: turn out to be exactly $1000. But the thing is now UGG sales worldwide over a billion dollars every year the last three years. But it could never get to a Billion without getting to that first thousand dollars sales, the first 28 pairs was very critical. Neary: Wow, so you got to start somewhere first. Brian: Yep. Everything starts… and I have a saying that you can’t give birth to adult you know. Neary: You know I like that! I totally like that. Yes. Brian: everything, everything that I ever started is conceived by somebody. And then they take some actions to give birth and usually whatever it’s the movement that you’re trying to start a new church sandwich shop or a new tech product, usually does nothing for the longest time. Because people don’t get it and it’s like a baby in the carriage. It doesn’t matter how much you shake it, or feed it or whatever. It can’t get up and goes to college. It has to be an infant. Neary: That is so true. It has to be mature. Brian: yes. Everything takes time to to mature. Eventually it starts to toddling. People would get interested. You get lots of interests. It will become youth, youth stage where you can like a kid can brush his teeth, put on pajama, you know, and he goes to bathroom by himself. That’s a really good stage of business because that’s when the orders are coming in consistently, productions are steady, cash flow working and the market… you know that’s really a good time for business. And then like UGG was. It was super popular. If the teenage face, and then all the rules are broken. It would just like our control. Everybody once the product. And eventually its mature and become an adult. The critical thing is, one of our favorite saying is when you are starting out in the business and it’s in that infancy. It sounds like funny a little saying, but it’s very very good wisdom and philosophy. And that is that the quickest way for a tadpole to become a frog is to live everyday happily as a tadpole. Neary: Wow. That is deep. Brian: That is very deep. It is a secret of a happy life. Even though you keep the size of what you want, you must always be coming back. Just hey I’m alive today. I’m happy today. I got things. I got problems.that I got to overcome. Today I’m just going to accept where I am and keep working. And bit by bit, you are a frog. Neary: Wow. That is the same thing as what a caterpillar and butterfly. Brian: that’s right! Yes, yes. Neary: That gives us into next Segway. What, could you give us a couple challenges, one or two. It’s up to you. What is the most challenging event that you experience and how did you overcome it? Could you please take us back? Brian: Sure! Sure. In this particular business, I was always very cash poor. There was a reason for that. It were seasonal. Where there was business, do you know like a joke and shop? Brian: everyday sales was 800 dollars, $900 and you know you profits $200. And you can always be planning to buy more products, and make sure the machines are full, and the end of the month to take some money out and spend it, and the rest put it into the business buy more products; and every month it’s the same. With UGG, we have 3 months October November December and then it’s just flatten out for the rest of the year until the next October. So we have to have enough money to buy all the inventory for 3 months and make a lot of money in those three months. Then we didn’t have the money to pay for the overhead for the rest of the year. So we couldn’t sort of get up let us go to 3 or 4 million dollars. You need a lot of people. And accounting people staff to get to that three months but you couldn’t afford for the next 9 months. So that was always very very big problem. Always try to keep finance. So I think for anyone starting out. It’s important that you do some sort of cash flow estimate. It’s a simple business plan. A program that you can buy online now, very very good. 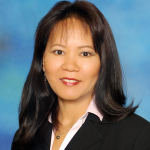 Make sure you chart out the sales, the costs, the profitability, so that you don’t get surprise like I was. I went entered is not even knowing that’s going to be the problems. So it’s wise for people to do that. Neary: Great, great tips. That is wonderful absolutely great tips. So now in term of personal growth, do you have a quote or some sort of mantra that you actually, you know, when you feel down. Oh that’s the other thing you remind me. You said you failed, what times? Brian: I wanted to get it out four times. Neary: During the four times what did you tell yourself what did you do to overcome and now be Billion dollars business? Brian: Well, I read some philosophies one time and I have to written on the front of my daily planner. Alright. Enthused in the present of difficulties. Right? Brian: And what those three things do instead of being a victim of oh I don’t know what to do all things went really bad… If you faced upon the uncertainty, like, WOW! I don’t know what to do. That’s exciting. If I find what to do than every body else doesn’t know, that puts me ahead. Alright. Fatten upon disappointment: another saying that often your most disappointing disappointments become your greatest blessings. Neary: I have to keep that in mind. God! Thank God that that happened because I wouldn’t to find this other directions if I kept going on that same path. And so I mean, I met a guy at lunch yesterday. Anna said how did you get into business? He said Oh I got fired from my job. So there’s a huge disappointment. But she said it’s the best thing it ever happened to me because now I found my passion. I got my own job going. And so always if you look bad your most disappointing disappointments, Neary, there’s always really good things that happen. Neary: that also applies to me. One week ago I got laid off from my job. In a way in a secret, quiet way, I was hoping that I would get laid off so I can what I’m most passionate about. And so he I am at this event I booked wait in advance. And I believed there is at least someone above there watching over. Brian: there is. Totally is. Yes. 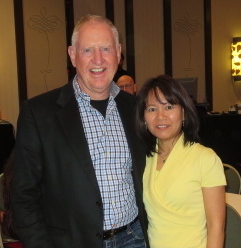 Neary: because look I did not come to this event, secret knocked and meet Brian Smith, the founder of UGG. And you know sometimes you think things happen for for many reasons. And I believe this is one of the many reasons. And it’s such a great pleasure and so it’s beyond my imagination, my expectation. Brian: Well, I told you that I have written the book Publishing in October. And its called the birth of a brand. And that book I bring a lot of my own spirituality and philosophy into it. And I think several times in the book, I say demit to start out on a path, the universe will step in to help. And this is a good example. You started out on your path. If you were still working on the other job, you would have never met me and this past will never be the past your are on. So if you are like on the fence what to do, you follow your heart. The universe will always step in to help you along. Neary: I’m studying to be more of a believer it into that now as I’m getting older. And I’m enjoyed being older.. And so Brian, you mentioned your book. When your book come out going to pre order the book ahead of time? 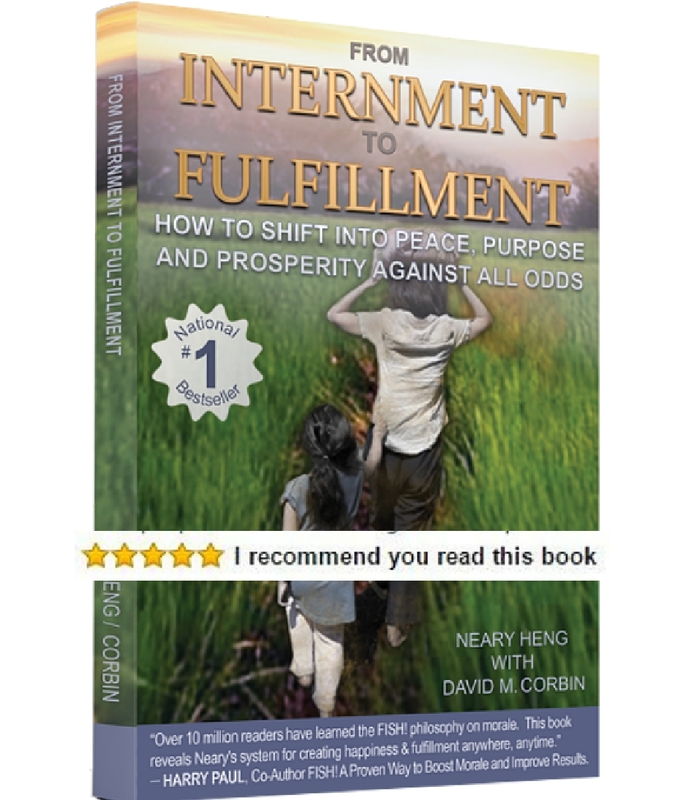 Where can they find you to order the book? Brian: Well, if it’s after September 15 2014 when you are looking at this. You can go straight to Amazon. But until then, I would just wait. 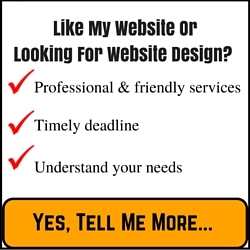 Or else go online to my website www.BrianSmithspeaker.com and you could put in your request in there for a book. We’ll make sure that you’ll get it. Thanks for bringing that up. Neary: Absolutely! I’ll keep you update. You know when September 15 comes up. So before we depart Brian, is there some kind of quote or a mentor that you would like to leave you know audience out there? Brian: No. Just the thing I mentioned which is. I think the tadpole says it all. If you can be that tadpole and be happy everyday, you will soon be a frog. It’s just automatic you can’t avoid it. Neary: And use those legs to leap forward or wherever directions that it may take you in order to achieve your purpose in life. So thank you and thank you so much Brian. Brian: Thanks, my pleasure! Thanks for having me! Neary: Thank you. And take care everyone. Always find a way to smile! Get your pair(s) of UGG, click here.